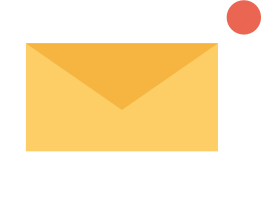 Download our press kit or read the latest coverage of Fail Better in the media. While innovation involves stepping into the unknown, a framework can improve the chances of success. Failure is part of business. But it’s how quickly businesses learn and recover from failure that may determine whether they eventually find success. The ideas one gleans from failure form the crux of Fail Better. The message of Fail Better really hit home. It’s about testing the waters, with prototypes, mock-ups or trials. It’s about experimenting until we get it right. Failures need to be seen as stepping stones to success and their lessons shared with a wider audience, according to Anjali Sastry and Kara Penn who provide useful insights into interpreting, planning, and learning from failures. In this recommended book, Sastry and Penn show you a purposeful way to experiment and innovate that will transform your failures into opportunities to learn, modify, and improve. MIT Sloan’s Anjali Sastry discusses how to learn from your failures to improve your overall business performance on Bloomberg Business Radio. Planning projects in repeatable chunks–rather than in one grandiose shot–and prioritizing tasks to test assumptions can help you learn. At MIT Sloan and in Chile, faculty and students are drawing lessons from hands-on work in organizations. It’s not the end of the world if you fail, but watch what you do next. It’s about learning for your firm, not window-dressing. Craft failures that can drive progress, professional development, and innovation. In-depth perspectives about how project failures can ultimately benefit professionals in terms of accumulated wisdom through trial and error. You’re going to fail sometimes, so why not fail better? Learning why and how to embrace failure is an essential skill in business and innovation. In the spirit of Women’s Entrepreneurship Day, here’s a list of books, written by women but that are equally applicable and relevant to men. 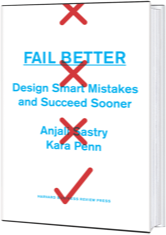 Anjali Sastry and Kara Penn, authors of Fail Better, offer a three-step approach for harnessing failure. While failure in business is a given–it can also lead to success with the right mindset and approach. A new book from MIT authors offers needed guidance with a practical approach. Fail Better was selected as a Best Book of the Month by Amazon’s editorial team. Failure is all the rage. Be sure to do it right. Among notable releases, Fail Better is one of the most exciting. Failure’s inevitability could be a good thing. Do you wonder why some people–and teams–constantly make the same mistakes? We’ve already heard that we need to embrace failure. Now here’s everything we need to know about what that actually means. It’s time to embrace real-world learning in the public sector, where complex problems like Ebola aren’t always dealt with properly on the first try. Key questions help you determine where to give so that your money does the most good. It may be counter-intuitive, but pulling the plug on a floundering project could be the best thing, says a new book by Anjali Sastry and Kara Penn. Interview: The right framework can help cultivate a mindset that supports smart mistakes and learning, Anjali Sastry and Kara Penn tell Ankita Rai. Failure happens. But with the right mindset and strategy, it can lead to massive breakthroughs. Embracing failure works only when you fail at the right time. Here’s how to ensure that happens. To purchase in bulk at a discount for use in training programs, sales campaigns, or gift-giving, or to order customized copies of the book for your organization, contact Lindsey Warren Dietrich: 617-783-7571 or lindsey.dietrich@hbr.org. For consulting or implementation assistance please contact the authors. For author speaking or workshop requests please contact the authors.